A unique study, filling a glaring void in the technical literature of an important transportation technology. 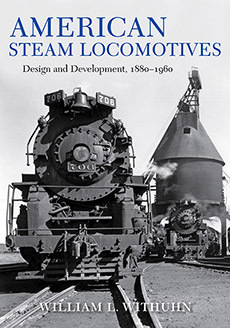 It is comprehensive and covers "all the bases" in the development of steam motive power from the latter decades of the 19th century to the end of steam innovation and production by 1960. Withuhn places his complex story into the larger context of railroading and national and international happenings.